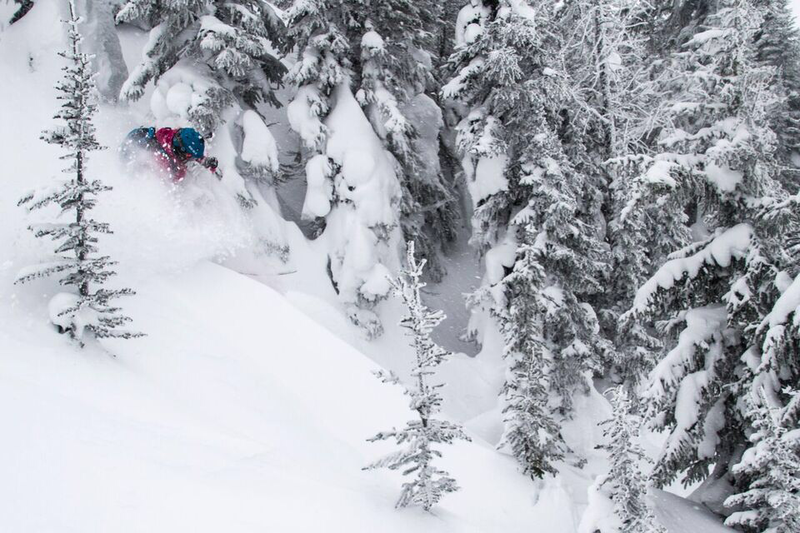 Meaghann Gaffney is a woman of many talents—and undeniably one of the hardest charging female skiers we know. 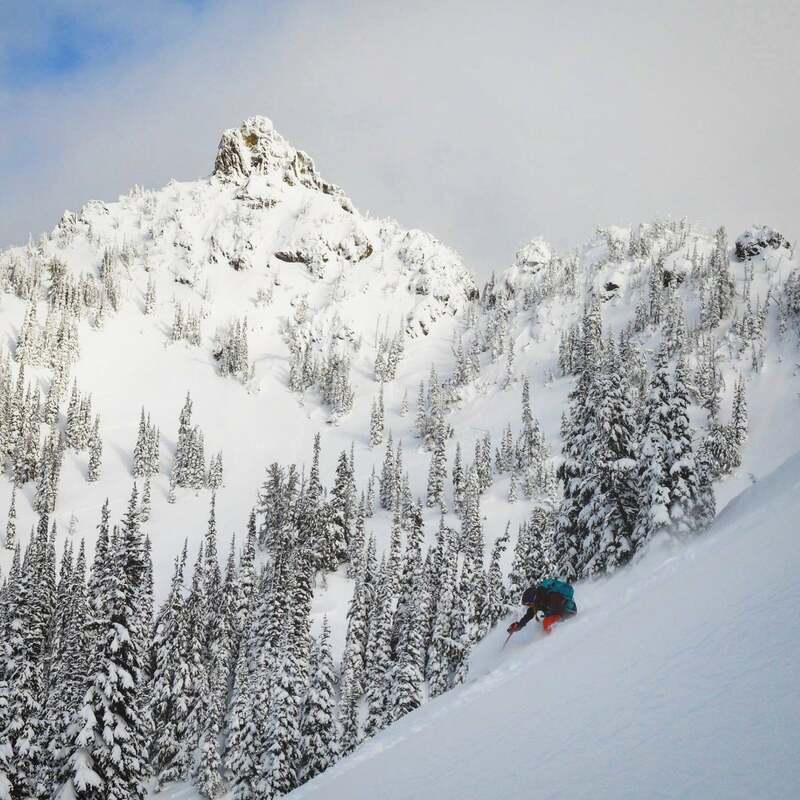 Her titles have included Professional Athlete, Ski Patroller, Freeride/Big Mountain Coach, and aspiring Snow Scientist, to name a few. And of all the adjectives that could be used to describe her snow-chasing, pow-loving lifestyle, ”high-maintenance” is not one of them. This season, Meaghann took the leap that many of us have only dreamed about. 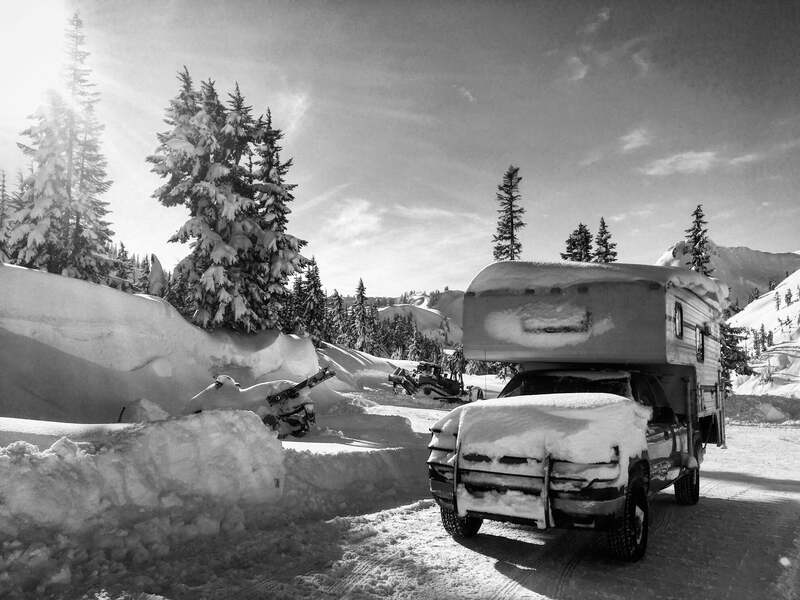 She dedicated her winter to the highest-order of powder-chasing, bought a camper, and is setting up slope-side basecamps at the base of whichever resort she damn-well pleases. It’s no secret that we at Sego have a thing for pow-chasing vehicles. 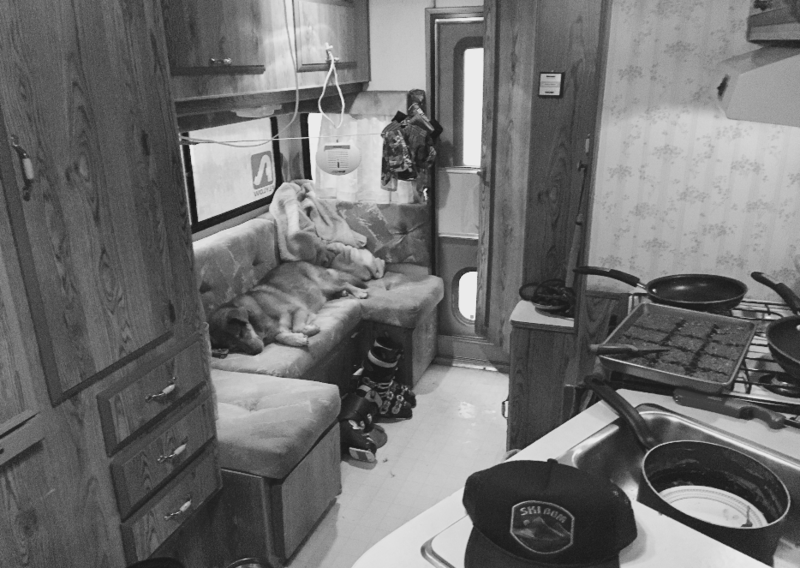 So in the interest of educating our fans who are considering a season on the road, we caught up with Meaghann to learn a little more about her inspiration, her set up, and what to plan for when you’re living off the proverbial housing grid. Meaghann I hear you’ve been calling the Crystal Mountain parking lot home this winter? Yeah the Crystal Mountain F Lot been where I’ve most been parking my ”home” this winter. Has Crystal Mountain been accommodating your situation? After changes to their overnight policies this year, it hasn’t been as easy to bum there as originally planned. The community supports it! Perhaps next year we can plan better for the situation. In the meantime, we’re mostly parking in secluded areas in Forest Service campgrounds! And how many seasons has this been for you living on four wheels and when was the last time you’ve paid rent? April 2016 was the last time I paid rent. This past summer I was living in Hood River in the canopy of my Toyota Tundra, so this current camper has been a major upgrade. But yeah I’m definitely a fan of the not paying rent life and living mobile! I used to go on extended two-week trips of just living out of my Subaru, which got me hooked on the idea of car living full time. Is this your best mobile setup yet? I’d definitely say this is the most plush mobile living situation yet! The camper is 11 feet long with an extra big sleeping area that I was actually able to fit my queen size mattress in. We still have some stuff to figure out as far as heating goes and what not. We run off propane, but the heater can make some serious loud squealing noises that wake us up at night a lot. We learned Reflectix for insulating all the windows is our best friend for insulating. Obviously, space is limited, and I’m sure it gets cozy so what’re some of your essential down-time must have items that stay in the camper? In our down time, we play a lot of cribbage and other card games too. I like to read and study maps, so I keep the camper stocked with maps and guide books of all my favorite mountain ranges. By the time we get done skiing, around 4:00, get done hanging all our wet socks, goggles, and gloves to our make shift drying rack, its around 7:00. Then we have to heat up water in a kettle to wash dishes which takes time since we don’t run water through the camper in the winter. By the time we’re done with standard ”living maintenance” its pretty much bedtime at 8:30-9:00ish. Do you have a partner in crime for your life on wheels? My boyfriend Brock Holmes and his corgi german shepherd lab mix named Lewis would be my partners in Crime! The camper is actually on his truck which is substantially bigger than mine. And Lewis has been a good addition just because he’s just so cute. It seems as though the van life caricature has been that of the dirtbag, ski-bum man, how has this changed and how have you been perceived as a woman living the nomadic lifestyle? Honestly, I think the whole van life thing has turned into millennials with tech jobs buying over priced vans to get ”away” from it all. With that being said I know a couple people living in sweet 4WD Astro Vans, living under the radar, not hash-tagging #vanlife, and I appreciate those people. I like being a dirtbag chick. I’m not as broke as I was a couple years ago, so its a bit different now. I can afford to buy my own beer but I’m still gonna snag the slice of pizza someone left on their table. It can have its downsides. I definitely still don’t like showering when its cold outside. Its really about not trying to get handouts from people, but still living simply and cheaply, I think it could be called being a respectable dirtbag. A lot of people including my relatives don’t really understand why I want to be on the road and living this life. I’ve found I can get a little upset when I get too settled into one spot and am happiest on the move. So I do what makes me happy. In the past couple years, a lot of ladies have reached out to me and said that my solo adventures have inspired them to get out and do the same and that gets me stoked. I think its really good for women to adventure on their own and be in charge of the journey themselves. There’s really nothing as freeing as being able going somewhere and just do you. This year is a big change because I’m not by myself anymore. But having Brock around, I have my best friend, favorite adventure buddy, and ski partner with me which is awesome. 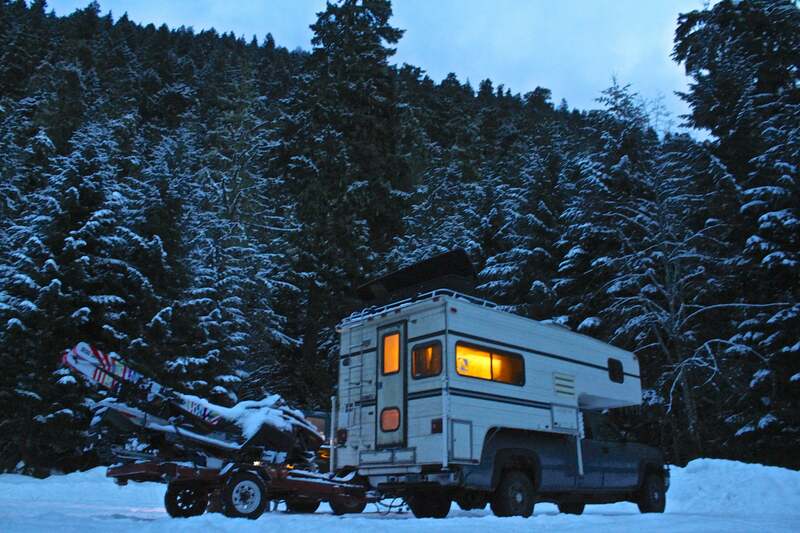 Besides Crystal Mountain, do you have any big plans as to where else you’ll be parking your home this winter? The next stop is Revelstoke to go ski and explore with some friends, and then after what we’ll see what the snow does. Washington so far has been having such a good year I think it’ll be hard to leave. There’s a lot of big mountains out there I haven’t touched and I’ve been homesick for them. Specifically exploring the north cascades some more. There’s one line that hasn’t been skied that I want to get to. A good friend of mine has been eyeing it any has made several attempts but nothing has lined up. It’s not necessarily the gnarliest but its the aesthetic. It’ll require a couple days of access of good weather to get to which is the primary reason it hasn’t been touched. So fingers crossed! 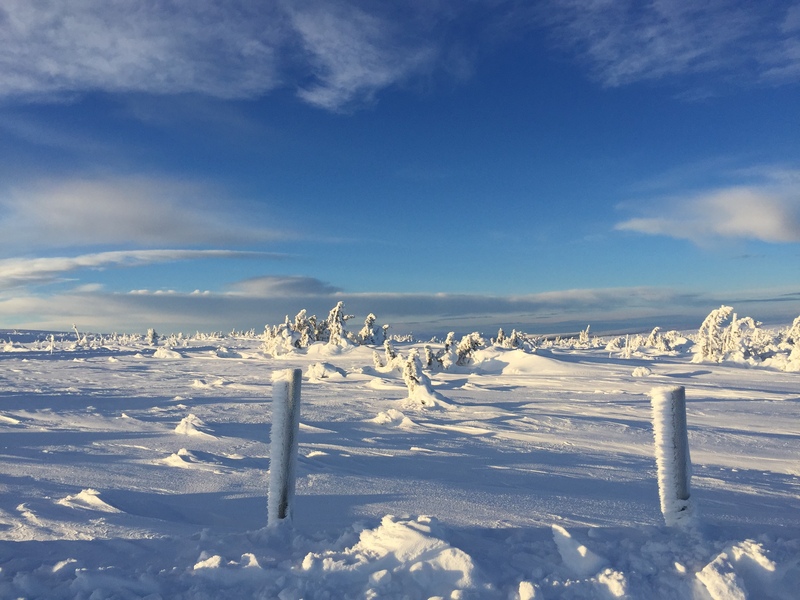 Kläppens investeringar viktiga för hela bygden SKIDTESTARHELG!